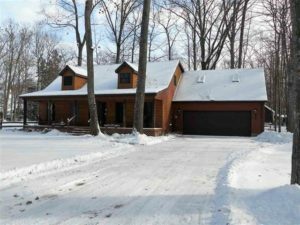 If your dream is to own a log cabin right across the street from the beautiful Higgins Lake, then 215 Cardinal Ave is your dream come true. Four spacious bedrooms, two full bathrooms, a covered front porch with views of the lake, custom knotty pine interior, a jetted tub upstairs, extra large closets, and so much more await you at this incredible cape cod styled home. A large basement offers plenty of extra storage and natural gas log fireplaces provide plenty of extra heat in the winter. The 2-car attached garage is also heated to ensure your comfort all year long. 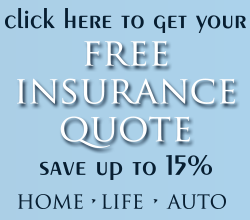 Add custom flooring to make it truly one-of-a-kind and perfect for you and your family. This home is all about location. With Higgins Lake across the street and the road end access only two houses away, you enjoy all the lakeside access, views, and privacy you could ever want for less than $200,000. There isn’t another deal on the market quite like this one. Wake up and see Higgins Lake right from your bedroom window, cozy up with a cup of coffee on your covered porch, or snuggle with your loved ones in front of a roaring fire. This home has it all! 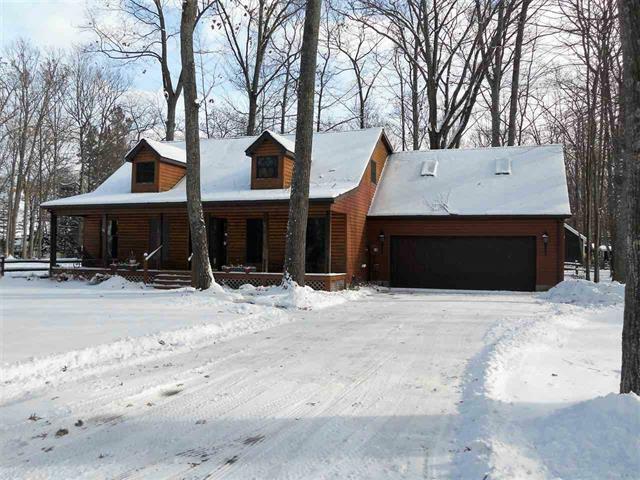 Though this unique Higgins Lake property has already been sold, your dream home could still be right around the corner. In fact, Northern Michigan is packed full of lakefront properties just waiting for new homeowners, like you, to move in and make them your own. From seasonal vacation homes to residential properties perfect for raising a family, Ken Carlson can get you into a home that’s right for you. No other real estate agent is more committed to finding you exactly what you need more than Ken Carlson. For many years, Ken Carlson has relied on his honesty, integrity, and reliability to help deserving families, just like yours, find the safe homes they love, and today he wants to do the same for you. Thanks to Ken Carlson’s extensive knowledge of Northern Michigan, his many years of experience, and his countless well-connected colleagues, finding the home of your dreams has never been easier. Take advantage of Ken Carlson’s incredible real estate skills and finally find the home you’ve been looking for. Choose the right home, choose the right real estate agent, choose Ken Carlson.